Ticks are often referred to as ‘nature’s dirty needles’ because in addition to Lyme disease, ticks can also carry numerous other infections. It is a well known fact amongst the Lyme disease community that ticks can transmit more pathogens than any other arthropod (Moutallier et al, 2016). The NHS struggles to meet the demand for adequate diagnosis and treatment of Lyme disease, which unfortunately means that receiving the correct care for co-infections is extremely rare in the UK. This is why as patients, it is so important for us to be aware of the possible co-infections which can be significant factors in our ill health. A patient survey conducted by Caudwell Lyme Disease, involved 500 patients and revealed that 95% of them were aware of at least one co-infection. It’s important to also note that a compromised immune system makes an excellent playing ground for opportunistic pathogens. 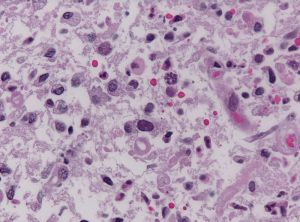 Anaplasma and Ehrlichia are gram-negative bacterial infections from the rickettsiales genus which affect white blood cells. 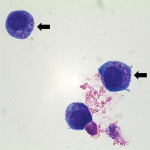 Both can be transmitted through the bite of an infected tick, through blood transfusions or organ transplants and they can also be fatal in immunosuppressed patients. Symptoms and complications: confusion, exhaustion, headaches, abnormal gait, ulcers, anorexia, abdominal pain, muscle pain (in particular shoulders and hips), fever, rashes, flu-like symptoms, jaundice, nausea, sweats, photophobia, conjunctivitis, enlarged liver, enlarged spleen, elevated liver enzymes, low white blood cell count, low platelet count, anemia, myocarditis, renal failure, respiratory issues. 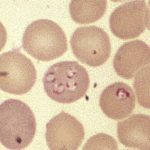 Babesia is a malaria-like protozoal parasite which attacks red blood cells. 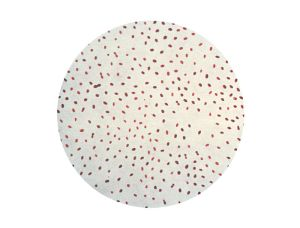 The infected red blood cells are eventually destroyed and cell fragments can then lead to blocked capillaries and also put a strain on the liver and spleen. Over 20 species of Babesia carried by ticks have been identified but only a few are known to cause disease in humans. In 2006, The American Red Cross expressed concerns about the infection being spread via the blood supply. Babesia can also be transmitted from mother to foetus, and can prove fatal for anyone with a compromised immune system. Symptoms and complications: night sweats, fevers, chills, lethargy, headaches (around the front of the head), cough, air hunger/shortness of breath, insomnia, fatigue, depression, anxiety, chest pain, hip pain, intolerance to heat and cold, agitation and suicidal ideation, encephalopathy, low blood pressure, low platelet count, jaundice, disseminated intravascular coagulation, hemolytic anemia, renal failure, respiratory failure, congestive heart failure. Bartonella is a gram-negative, intracellular bacteria which takes up residence in the endothelial cells and from there, attacks the red blood cells. It affects the central nervous system and the brain and it is also believed to infect bone marrow. Inflammation of the vascular system can occur and effects of Bartonella have even shown up on SPEC scans as changes in the white matter of the brain. There are over 28 sub-species of Bartonella and at least 4 cause disease in humans. Bartonella can be transmitted by ticks, mosquitoes, fleas, lice, biting flies, and from the scratch of an infected cat (Cat scratch fever). It is also possible that the infection can be passed from mother to foetus. Symptoms and complications: raised papule and/or pustule on skin, stretch-mark type skin manifestations, neuropsychiatric issues, neuropathy, depression, anxiety, rage, sudden changes in mood, cognitive impairment, bone pain (shins, neck and back), subcutaneous nodules on extremeties, low-grade fever, tremors, muscle twitching, fatigue, abdominal pain, seizures, burning or numbness on the soles of the feet, tingling and numbness, visual disturbances and other opthalmological symptoms, balance problems, ataxia, irritable bladder, severe joint pain , swollen glands, headaches around the back of the head, conjunctivitis raised liver enzymes, endocarditis, gastritis, anemia, bacillary angiomatosis and bacillary peliosis. 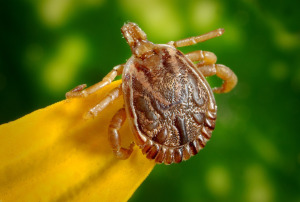 Brucella is a gram negative intracellular infection which can potentially be acquired from a tick bite as the bacteria has been detected in ticks. It is most commonly spread by consuming contaminated, unpasteurised milk or raw meat. The infection can also be caught by inhaling contaminated dust or through skin abrasion contact with infected animals or from handling contaminated blood samples. There have also been cases where Brucella has been spread from person to person sexually, in utero and via breast milk. Brucella can affect every organ of the body and initially, people can be be asymptomatic. However, the infection can persist and recur and complications can be fatal. Symptoms and complications: cyclical fevers, foul smelling sweat, headaches, urinary tract infections, joint pain, cough, gastrointestinal issues, weight loss, swollen glands, depression, enlarged spleen and liver, optic neuritis, endocarditis, meningitis, liver abscesses, arthritis, spondylitis. 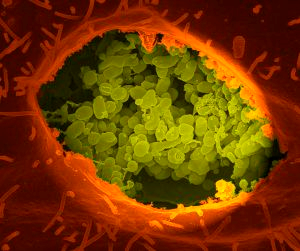 Q fever is a gram negative intracellular infection caused by the bacteria Coxiella burnetii which can be transmitted by a tick bite. The bacteria has been found in over 40 species of tick and it can also be contracted by consuming contaminated animal products (unpasteurised milk) and by being exposed to infected animals’ wool, fur, hide, blood, urine, sexual fluids, amniotic fluids and placentas. It can also be transmitted by handling contaminated soil or animal bedding. Q fever can be transmitted sexually and from mother to foetus. People can have Q fever and be asymptomatic but it can also cause chronic disease often involving cardiac complications and can pose risks during pregnancy. Symptoms and complications: fevers, weight loss, muscle pain, sweats, muscle pain, joint pain, headaches, chills, confusion, dry cough, respiratory issues, nausea, gastrointestinal disturbances, mengioencephalitis, pneumonia, granulomatous hepatitis, liver enlargement, endocarditis, retinal vasculitis. 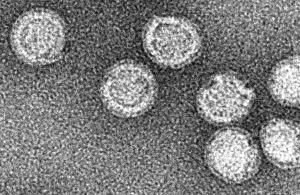 Tick-borne encephalitis is a viral infection transmitted by ticks belonging to the flavivirus genus. This infection affects the central nervous system. According to NHS Choices, this infection cannot be caught in the UK but it is found in some European and Asian countries. People can recover from the infection after a short period of time but in some cases, more serious symptoms and complications can occur. Symptoms/complications: flu-like symptoms, fever, headache, fatigue, muscle pain, meningitis, encephalitis, cognitive dysfunction, seizures, photophobia, paralysis. Toxoplasmosis is a parasitic disease found in infected meat, contaminated unwashed vegetables and cat faeces. It can also be transmitted by a tick bite, from mother to foetus and by blood transfusion or organ transplant. Often, people do not experience symptoms when they contract toxoplasmosis but for people with weakened immune systems, symptoms and complications can manifest. Complications can also occur if a woman is infected with toxoplasmosis during pregnancy such as miscarriages, stillbirths and birth defects. Tularemia is an intracellular infection caused by the bacteria Francisella tularensis and it can be transmitted by biting flies as well as ticks. Those infected may notice a lesion at the site of the bite which then forms a papule/ulcer and which has a black base. 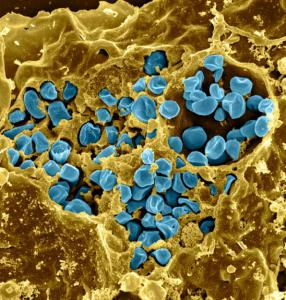 Tularemia can cause very severe pneumonia. Symptoms and complications: pneumonia, fatigue, signs of sepsis, skin ulcers, swollen glands, runny nose, chills, fever, headache, gastrointestinal issues, nausea, ulcers, conjunctivitis and other opthalmological symptoms. Buhner, S.H. (2005). Healing Lyme: Naturally Healing and Prevention of Lyme Borreliosis and Its Coinfections. Silver City: Raven Press.